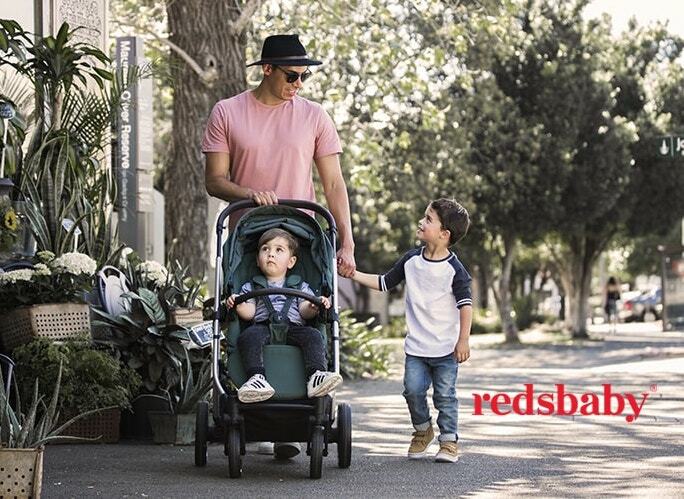 Beau Hudson is an Australian online label that sells fashion accessories for your little styler! Sash is mum to two very stylish little boys and her love for being creative and accessorising is how the brand Beau Hudson was born. The brand name is inspired by her two little boys Halen Beau and Duke Hudson and is very fitting for the bold colours and striped designs. Beau Husdon has a range of stylish, comfortable and practical clothes and accessories from beanies and bowties to scarfs and suspenders. The two little boys are setting trends at a young age and are just too adorable not to follow all their antics and fashionable outfits on Beau Hudson’s social media pages. Here we talk to Sash from Beau Hudson to find out a little bit more about their family life. Anywhere they can explore! They have the biggest imagination, ask so many questions, and we just have the best time together! My fav thing to bake is chewy choc chip cookies…or Banana Caramel Pie! (Its dangerous having it in the fridge! What is your favourite bed time story? as it reminded her of me and how I screamed everytime I saw one!! lol! I always kept it, and then brought it out for my kids and its def become a fav bed time story! Well, theres many methods depending where we are, and what the tantrum is about! ha! But- sometimes, just the good old fashioned time out works a treat!! To purchase your own piece of Beau Hudsons range visit their website here.